After the Jammu and Kashmir Police established that the Hizbul Mujahideen was responsible for killing Army Lieutenant Ummer Fayaz in Kashmir, defence expert P.K. Sehgal on Friday said the cruelty displayed that such terror outfits would open fire to anyone irrespective of whether the victim was a Kashmiri or a non-Kashmiri. 'People of Jammu and Kashmir must realise that Hizbul Mujahideen and similar outfits are their enemies. They perpetrate such cruelties without considering if the people are Kashmiri or non-Kashmiri,' Sehgal told ANI. 'It should open the eyes of the local population who must realise that it is not going to be in their interest to backup or to be seen supporting these people,' he added. Earlier, Rajputana Rifles officer Fayaz was kidnapped from a relative's house during a wedding ceremony and was shot dead the same night. 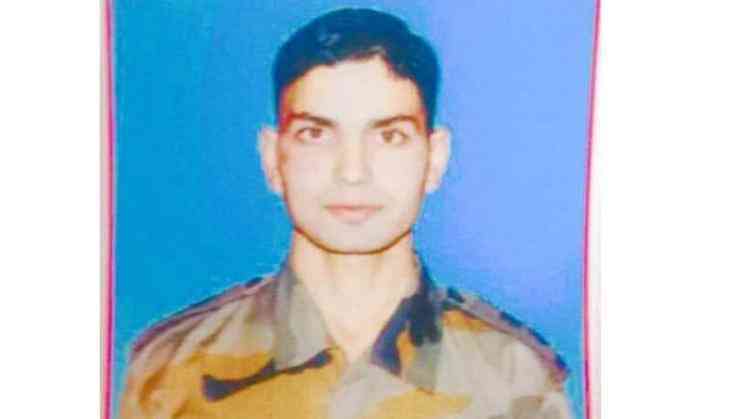 Fayaz had been commissioned into the Army's Rajputana Rifles regiment five months ago and had taken leave to visit big family in Kashmir. Police said they recovered two empty INSAS rifle cartridge cases used for the crime. Meanwhile, a massive manhunt has been launched to catch the terrorists involved in the killing of 22-year-old Fayaz.